While Word is a powerful tool, it's usually not the best option for managing projects and processes. However, it can be a great solution for sharing timelines as part of client status updates. 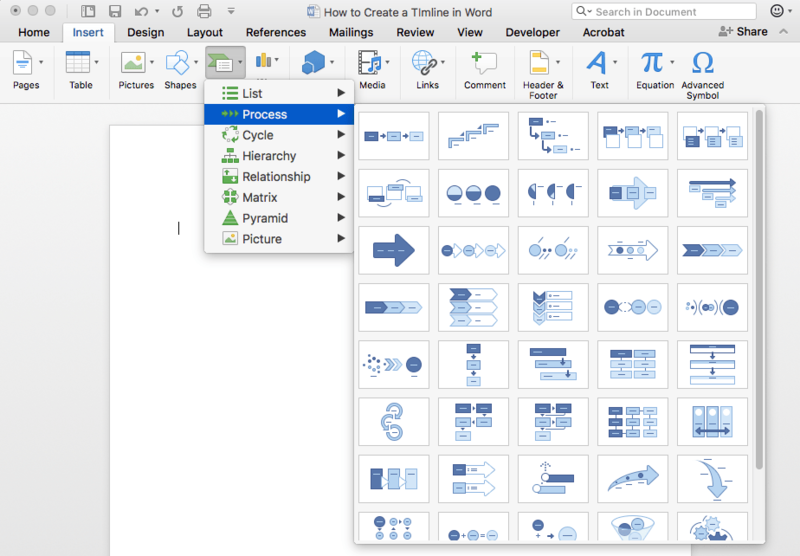 Create or open an existing Word document. If you already have a document you want to insert a timeline into, open your existing Word file, and place the cursor where your timeline should go. Starting from scratch? 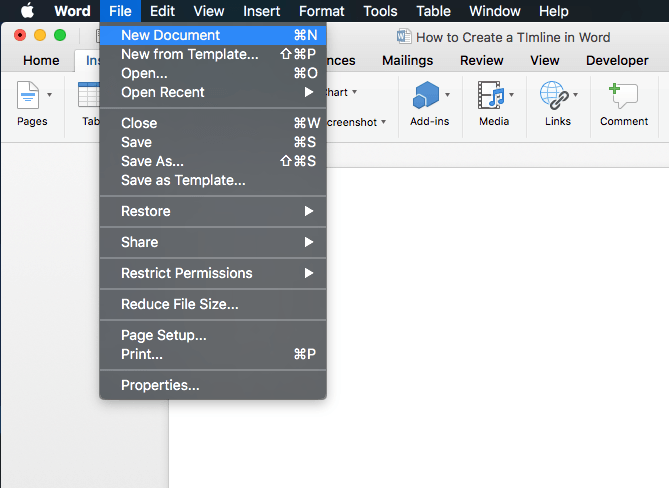 Create your document now by opening Word, and clicking File > New Document. 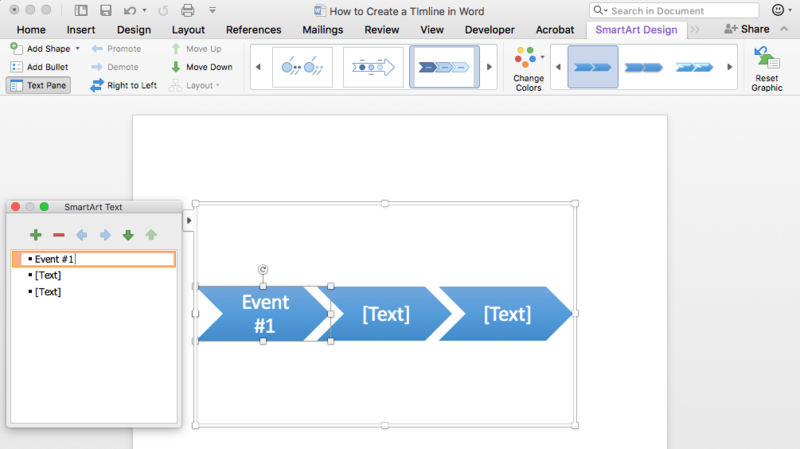 With your cursor placed where you want to insert the timeline, click Smart Art, and choose a timeline style from the Process menu. Select any design you like—it can always be changed easily later.